This is a guest post from Vic Magary. Vic is an advocate of the Paleo diet, proud pet-parent to his golden retriever Coda, and creator of the Final Five Formula program. 1. Stop fudging the numbers. 2. Pass on the potatoes. 3. Watch your portion sizes. 4. Reduce or eliminate fruit. Do you follow the 80/20 rule? Or even 90/10? 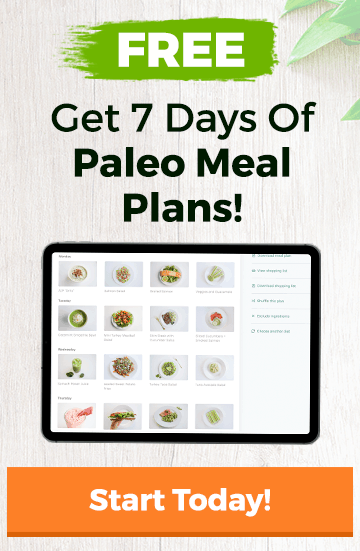 You know, where you eat Paleo almost all of the time but still allow yourself to stray from the plan once or twice per week. If that is what you have been doing, stop cheating and lock it down tight. If you really want to lose those final five pounds forget “cheat meals” and other permissive slips. Instead focus on sticking to the Paleo path 100% of the time for 2 – 4 weeks. Many fans of the Paleo diet see potatoes as a gray area. Since they come from the earth and have no additional ingredients, it’s easy to make the argument that they should be included under the Paleo umbrella. But they also cause the exact blood sugar spike and corresponding insulin response that you want to avoid when trying to lose weight. So if you are trying to take your leanness to the next level, skip the potatoes (and yes, even sweet potatoes). There is no way around it – losing that last bit of fat is going to take a reduction in your caloric intake. And since counting calories can be tedious and impractical, focus instead on “eye-balling” your portion sizes. For vegetables, especially those awesome green leafy vegetables, eat all that you want. For meat and fish, use the size and thickness of your palm as a portion guide. But the big one to watch out for is nuts. It’s so easy to grab a huge handful of almonds and mindlessly munch on them. Instead, keep nut portions to what fits in the center of your palm without overlapping – that’s only about 6 – 8 almonds for most people. Fruit can be a good source of vitamins and minerals, but it is also a source of sugar. Like potatoes mentioned above, the natural sugar fructose in fruit can cause the insulin response we want to avoid when working to lose fat. Typically the included fiber and relatively low calorie count makes fruit a relatively harmless indulgence. But when trying to lose those final few pounds, placing your focus on a variety of vegetables for those vitamins and minerals and eliminating or greatly reducing fruit can help you reach your goal. If you are already following the tips above and you are still stuck at a weight loss plateau, then intermittent fasting may be worth experimenting with. This is simply adhering to an eating schedule that involves an extended period without food followed by a specific window for eating. A common intermittent fasting schedule is 16 hours of fasting followed by 8 hours of feeding. As an example, you may have your last meal of the day at 7:00pm and then not eat again until 11:00am. An even simpler way to think of this is skipping breakfast. Remember the tips above are not necessarily meant to be permanent practice. Following the 80/20 principle and enjoying the occasional potato can be great for maintaining a healthy weight. But if you are looking to lose that last bit of fat, then you have to do something differently than you have been doing. To drop those final 5 – 10 pounds maintain a strict Paleo diet, watch your portion sizes, eliminate the potatoes and fruit, and consider intermittent fasting. The Final Five Formula is a program specifically designed to help you lose the final 5 – 10 pounds. It combines a tiered system of diet, recovery, and exercise to help you take your body composition to the next level. Get the full details on the program by clicking here.